The commercial construction services at Galati Enterprises extend far and wide. We work with cities, businesses, schools, churches, community groups, resorts, and clubs to renovate and remodel, tear down and rebuild, and improve properties throughout Palm Springs, La Quinta, and the Desert communities. Our full-service design-build commercial renovation and construction expertise means you don’t have to shop around for someone to do the design work, another to tear out the old, and still another to put in the new. We do it all. With just one call and with one point of contact throughout your commercial renovation and remodel, your entire project will be managed from start to finish by people who have the experience and know-how you need to relax and make it through the project with your sanity intact. Every commercial project at Galati Enterprises gets the personal attention of our owners, Tony and Connie Galati. We believe this owner-to-owner approach underlines our philosophy that the construction professional and the client are partners in every project. If you ever have a question or concern, you’ll speak with Tony or Connie directly. We are in this together to design and build or renovate your property to your expectations and with our high standards of quality and safety and with the least disruption to your day-to-day business as possible. Trina Turk Palm Springs Retail Stores: This project involved three retail build outs; connecting three individual stores with one another and expanding them all. We continue to do remodeling and build display walls for these retails shops. La Quinta Resort: We have done many projects for La Quinta Resort including tenant improvements to their retail shops, a complete remodel of TWENTY6 Restaurant, entrance monuments, remodeled over 200 rooms, tiled the complete spa, tile work on numerous fountains throughout the property, and laid 50,000 square feet of Mexican Pavers including many historical patio pavers. 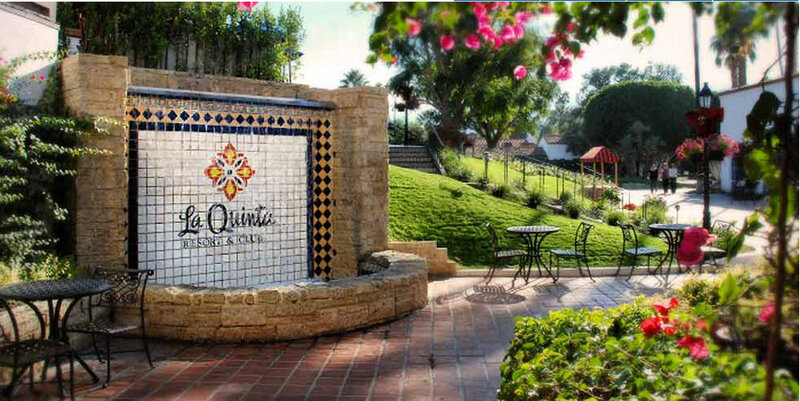 City of La Quinta “owned homes”: Rehabilitation projects of several properties for the city. City of Desert Hot Springs: Numerous residential rehabilitation projects for their Federally Funded program which included interior and exterior repairs as well as full landscaping. Desert Christian Academy: construction and tile work. Southwest Community Church: lobby and main restrooms. Start your commercial construction project off right with a free estimate from Galati Enterprises. Call us a 760-777-9994 to arrange an on-site consultation. We will discuss your needs and project expectations, take measurements and photos and use those details to deliver a comprehensive price quote that you can use in making your construction contractor selection. It was a pleasure working with you and your team on the construction of The Meeting Room and La Serena model bungalows. Total Constructions’ professionalism during the project from bidding through punch list exceeded our expectations. Our project management team appreciated your thorough budget projections. We know that our request required additional documentation than other clients, but your willingness to accommodate us was valued. The itemization and exclusion lists were presented clearly which allowed us to develop informed decisions for the project. Your management of schedule and our expectations was successful in light of our delayed decisions and the multiple weeks of rain. Re-sequencing of resources and I imagine special favors from your subs helped move up the completion dates despite the delays. The final product is impeccable. Working through details and submittals with us throughout the process ensured this. Each of your team members understood what we were looking to accomplish and took pride in their work to achieve both the quality and design of the project.